If you know "Fallout" you know the Vault Boy as well. 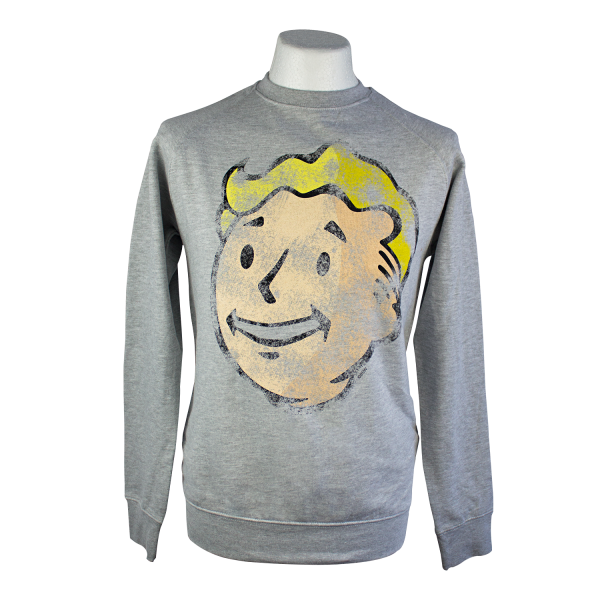 The mascot of Vault-Tec can be found here as a large print in a pre-distressed vintage look. The cotton-polyester mix (80% cotton, 20% polyester) guarantees a long fit and durability of this warm and comfortable Sweater. Manufactured by Gaya Entertainment.